Moments before the year is gone forever at the eleventh hour we open our doors for you to an experience away from the noise of the city. 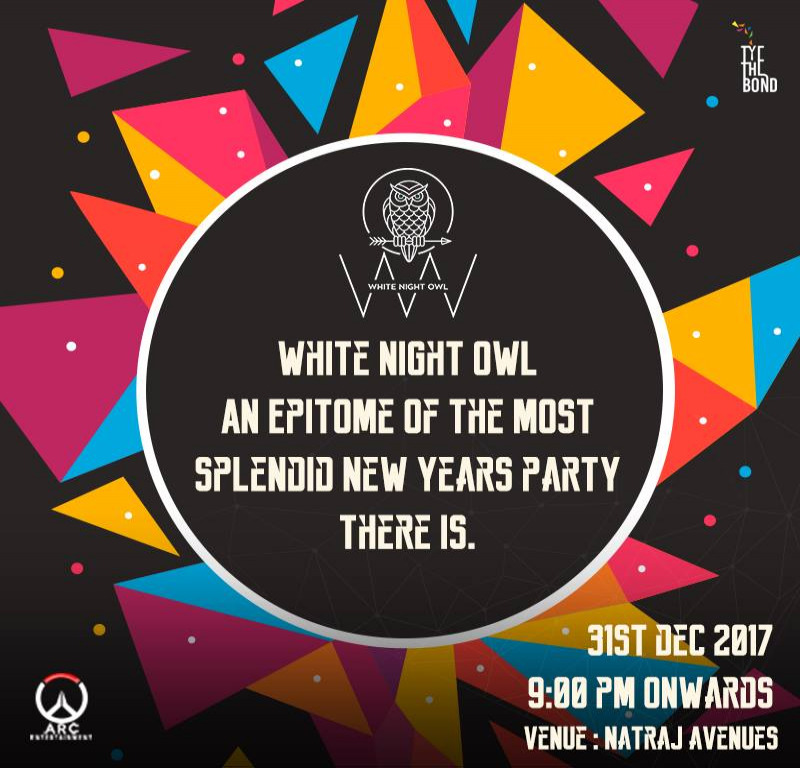 This New Years Eve, White Night Owl gives you the most Exclusive Party in the City of Mumbai where Every Second Matters! Feel all the frenzy with the best canapés to support it at the most exclusive venue, - Natraj Garden, Chembur. The surreal atmosphere with a large open area. This NEW YEAR’s EVE let the Jonny walk in Absolut fun after having a couple of Kingfisher’s in our very own tinsel town of Chembur with a line up of Celebrity DJ’s, Live Performances, interactive bars, sheesha zone and a lot more. Stay tuned on our Insta page @wno_india / Facebook page WHITE NIGHT OWL for further updates. Be ready to party in Chembur. Live the New Year moment with the ultimate grandeur and immerse into a never ending trance of dreams.